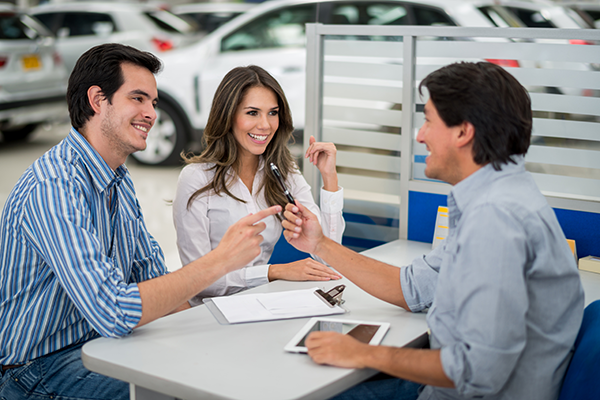 As a top spending ad category across multiple media, it’s important to understand the view dealerships have of the media options available to them. Media advertising options today for auto dealers are reflective of the options available to consumers – plentiful. Historically, dealers used only five media options – radio, TV, newspaper, direct mail and out of home. With technology came digital advertising opportunities. Initially, dealers tapped into digital to be everywhere their customers were, but they realized that the performance and impact of those new advertising platforms did not always perform as expected. According to a survey of almost 400 dealerships, Maryann Keller & Associates (a management consulting firm in the auto industry) analyzed the dealer industry and advertising spend. Within the survey, dealers admitted that digital advertising is still a large component of their ad spend, but its growth over the next few years will be at a slower pace. What was enlightening is that the definition of digital advertising varied and the products that fell within that definition were not necessarily related to advertising. Regardless of the definition, radio can offer digital services and digital advertising opportunities. While radio has many strengths, those dealers that use radio acknowledge that radio offers targetability. Because radio’s reach is so broad, dealers use radio to target specific audience segments such as the Hispanic market. Most importantly, despite other audio options available, broadcast radio still commands a larger portion of the audio advertising pie. Radio plays an important role for all ad categories but the relationship between radio and automotive is like no other. Radio reaches consumers throughout their busy day and is used in-car by: 81% of adults 18+, 73% of Hispanics 18+ and 71% of African Americans 18+. And most importantly, radio drives auto search. Once consumers know what vehicle to buy, they want to know where to buy it. Dealers still believe in traditional media and 60% believe that radio can drive the message for them. What are your views of traditional media and more specifically, the role radio plays in driving a brand message? Previous Previous post: Radio on Main Street Podcast Featuring Tom Langmyer, President & CEO of Great Lakes Media Corp.